London, UK – February 6, 2017 – Winshuttle is pleased to announce Justin Thomas has joined its EMEA leadership team as Director of Sales across the UK and Ireland. Justin will be working from the UK office in Wimbledon. 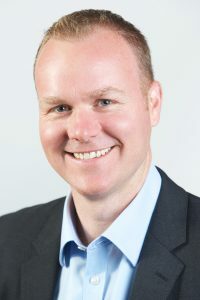 Justin has over 17 years of sales leadership experience working in enterprise software sales, including Sopheon software where he worked with solutions that help customers streamline the New Product Introduction (NPI) process. He’s held various leadership positions at industry leading companies like Software AG and Appian, where he helped expand the companies’ EMEA customer footprints.